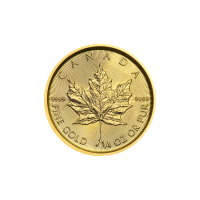 Pièce d'or pur à 99999 de la Monnaie royale canadienne 2009 de 1 once Purchase your 1 oz Royal Canadian Mint 99999 gold coin from our shop today to enjoy the best prices online. 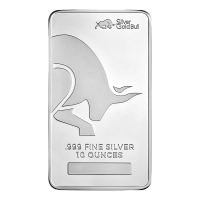 RCM proudly presents its 2009 edition in a series which boasts the highest achievable gold purity on the bullion market today. 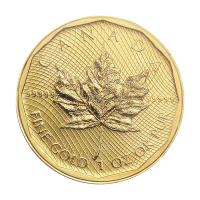 The coin's reverse features that most iconic of the Canadian Maple Leaf designs, in a single, immaculately expressed maple leaf, set on an eye-catching field of intricate mesh design, within a reeded border. 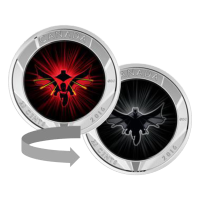 Also on the reverse, you'll find the Canadian legend, as well as the coin's stamps of purity, weight and metal content. 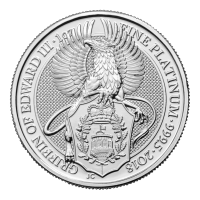 The obverse feature is none other than Susanna Blunt's iconic effigy of Elizabeth II in profile, also set against that light refracting mesh field design which we saw on the reverse. Joining this feature on the obverse, Elizabeth II's name, the coin's exceptionally high denominational value and the year of issue. 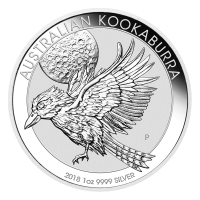 This immaculate offering from RCM is a must-have for collectors and investors alike, with its extremely low mintage of just13, 765. 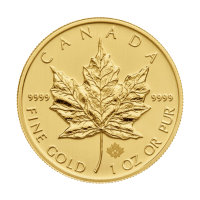 Own this timeless celebration of the beauty of Canada and fortify your holdings with a 1 oz 2009 Royal Canadian Mint 99999 gold coin today.